Yes, you read that right, this recipe contains no gluten OR nuts, eggs and includes a dairy-free alternative. Find a better allergy friendly recipe for cinnamon rolls. I’ll wait. Just kidding, there isn’t one! I used the tube of cinnamon rolls for a while but with two gluten intolerances in our family, it was time to find a better alternative. After several attempts, I finally created the perfect combo of gluten-free flour, cinnamon, and sugar to create pillowy soft cinnamon rolls! The hardest part about gluten-free baking is keeping the cinnamon rolls from turning out hard or crumbly. This is where I applied a little of my baking expertise and used Greek yogurt in the dough. My predictions proved CORRECT! Not only were these rolls soft but they also came out tall and fluffy. I’d give this recipe an 11 out of 10. So who has time for yeast dough, waiting, kneading, thermometers, and more waiting? Not me! And I’m sure you don’t either. All I’m asking for is an easy to make cinnamon roll recipe with simple ingredients that I have on hand, and this recipe is the one! 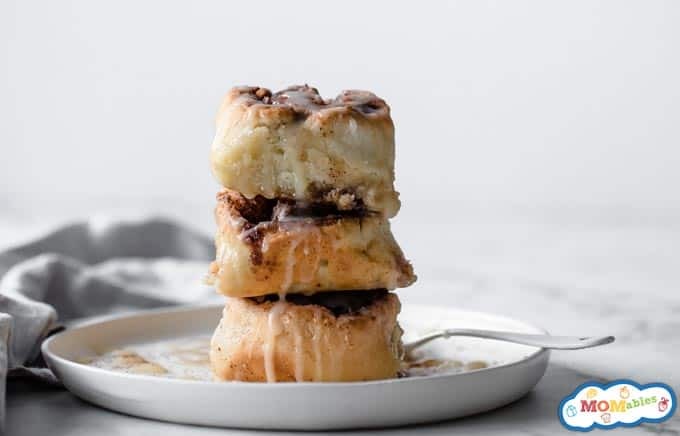 Instead of yeast, these cinnamon rolls get their rise from the baking soda and baking powder, which speeds up the process and yields soft, tall and heavenly cinnamon rolls FASTER! Like I promised, this recipe can be made dairy free by swapping the Greek yogurt with 1 1/4 cups canned coconut milk of your choice plus 3 teaspoons lemon juice or apple cider vinegar. Give the mixture a stir and allow to stand for 10 minutes before adding to the dough. Swap the regular butter with a vegan alternative like Earth Balance and you have dairy free cinnamon rolls! 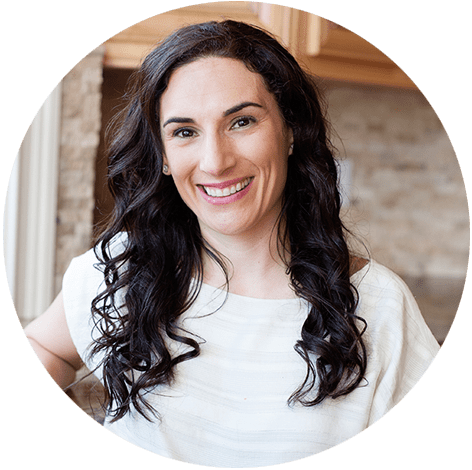 When any food allergies or intolerances are present, finding recipes the whole family enjoys is TOUGH. Getting a meal plan down pact makes all the difference and several families have had major success with our dairy and grain free meal plans. Get the full scope on any one of our family meal plans here. Can you Freeze Gluten-Free Cinnamon Rolls? This is a great recipe to keep on hand for quick breakfasts and you know what that means! Freeze em! Prepare the dough as directed up to the rolling the dough into a log and slicing. Instead of baking, place the rolls in a zip bag and freeze for up to 3 months. Whenever you’re ready for a warm, soft cinnamon fix, remove the desired amount from the freezer and bake as directed. 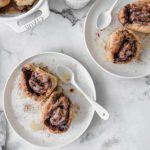 The sweet, shiny glaze is definitely my kids favorite part about these Gluten-Free Cinnamon Rolls and it’s so easy to make! Butter, sugar, vanilla, and water, that’s it! Next step, is choosing who gets to drizzle the fresh rolls with icing. Anyone else’s kids fight over this job? You don’t have to stop with Gluten Free Cinnamon Rolls. Or you’re in the mood for cinnamon, I have a lot of other kid-friendly breakfasts that your family is going to love. With recipes like these, you’re sure to have everyone in the family excited to wake up in the morning! 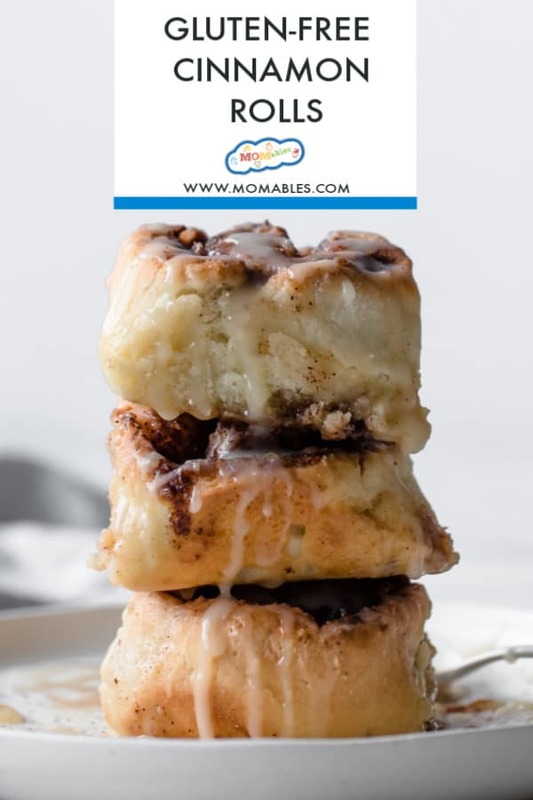 You can print this recipe below to be ready to make these gluten free cinnamon rolls with your family tomorrow morning! The ultimate allergy-friendly chocolate cake. Dairy-free, egg-free, gluten-free and beyond delicious!